You can get the Free Lenovo ADB Interface Driver from our site by clicking the free download link at the end of this post. To know what is ADB? And how it is installed, I have written a guide for you. You will need any version of windows such XP, 7, 8.1 or 10. Read the guide below to know about ADB and how it is installed. ADB stands for Android Debug Bridge. It comes as a part of the standard Android SDK, which you can grab here. Basically, it provides a terminal-based interface for interacting with your phone’s file system. Since Android platform is based on Linux, command-line is the only way to obtain and manipulate root access often required to perform certain advanced operations on your device using root access. While these things can be done directly on the device itself using some terminal emulator, it will be rather difficult to execute complex commands on such a small screen. ADB provides the bridge between your machine and your computer. 1. The first step is to download the SDK. Use the link given at the end of this post and download the latest version of the Android SDK from there. There are versions available for Microsoft Windows, Linux, and Mac OS X. In the case of Windows, both an installer and a zip file are available but there isn’t any need to use the installer as a formal installation is not required. Once you have downloaded the SDK, simply extract the compressed file to a location on your computer. In our case, we have extracted it to the root of our C drive and that makes C:\android-sdk-windows the installation location of the SDK. From here onwards, we shall be referring to this location as the ‘SDK folder’. 2. Previously, ADB used to be included in the SDK by default in the ‘tools’ sub-folder but now, it has been relocated to the ‘platform-tools’ sub-folder which needs to be downloaded as an SDK package. Fortunately, this is quite easy. Just browse to the SDK folder and launch SDK Manager. When launching it for the first time, it will present you with a window to choose packages to install. The first option begins with ‘Android SDK Platform-tools’. Make sure it is checked, and uncheck all the other packages for now. You can check/uncheck a package by clicking on its name and then selecting the Accept/Reject radio button. 3. 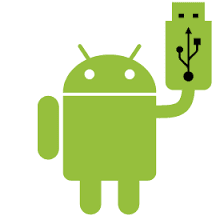 Now you have ADB installed but using it this way will require you to either use the complete path of the ADB command (C:\android-sdk-windows\platform-tools\adb) or to first change directory to the platform-tools subfolder of the SDK folder each time, and this can become quite a hassle. To make ADB along with other Android SDK tools and platform tools easily accessible from anywhere on the command line, we shall add their paths to the PATH environment variable. This method will apply to Windows users only. So, this was an easy guide on how to install ADB. Now you can enjoy the free Lenovo ADB Interface Driver by downloading it from our site and keep visiting us for more.